Cygnett are famed for producing simple, classic and protective cases in a range of block colours designed to perfectly suit your iPhone. 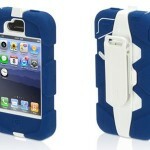 Their latest creation is the Cygnett Aerosphere Case For iPhone 4 and it meets this criteria perfectly. 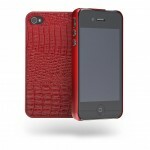 Available in two clear-cut colours, Black or Crystal, the Cygnett Aerosphere is a case definitely worth investing in. 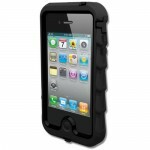 Made from a highly-durable plastic that resists tears, abrasions and knocks, the Cygnett Aerosphere will offer your iPhone 4 top quality protection. 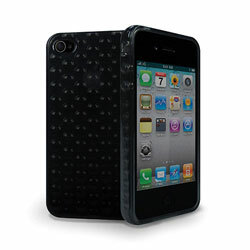 The Cygnett Aerosphere also features a bed of protective air bubbles built into the structure of the case, offering the ideal cushion to protect your iPhone 4 from the impacts it may experience. Protecting the front and the back of the iPhone 4, the Cygnett Aerosphere is smooth to the touch and does not hinder any access to ports or controls. Cygnett have even included a handy microfibre cleaning cloth and a screen protector so your iPhone 4 screen will staying looking as new and scratch-free as the rest of your iPhone! 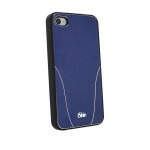 New iSkin Cases For iPhone 4 & iPhone 4S!